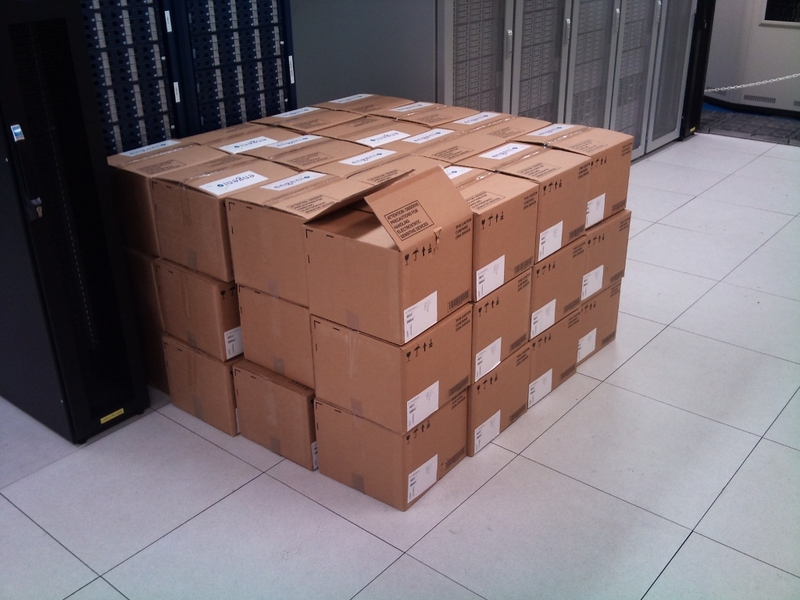 We recently purchased an additional IS-4600 disk array from SGI filled to the brim with 2TB SATA disks. 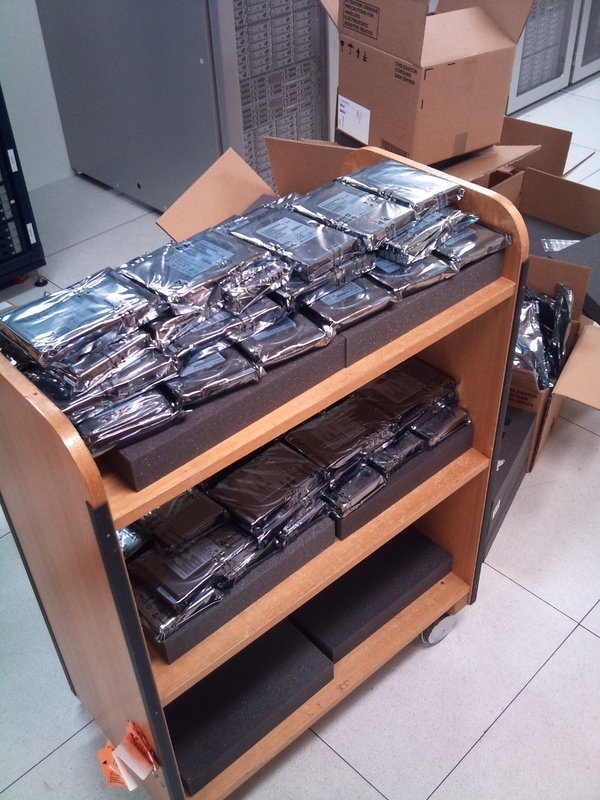 Once we build all th LUNs (8+2 raid 6) we will end up with an additional (usable) 680 TB of disk. 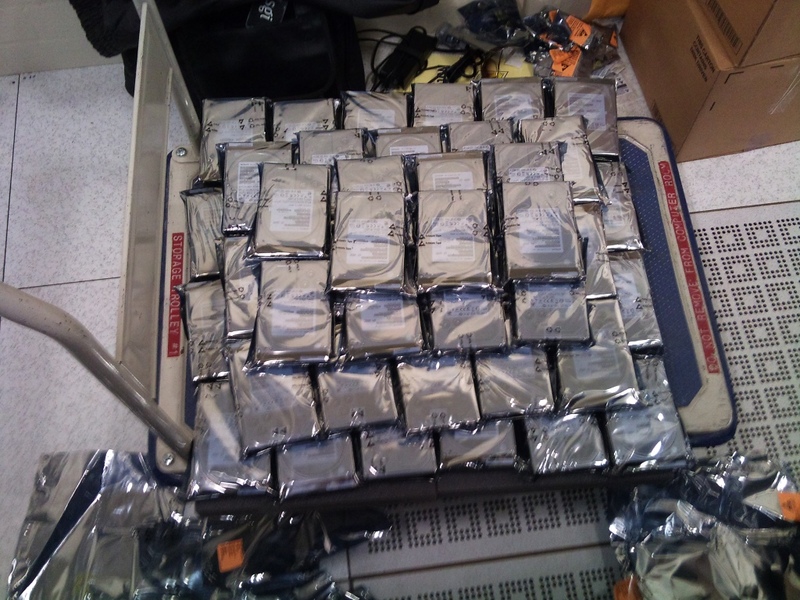 This beast can handle an aggregate 6.4GB/s of I/O and can sustain 175K read (45K write) IOP/s from (to) the backend disk (not that we could ever get to that number with SATA). Sunday, the 28th of November 2010 was a sad day for Egypt. It was a day that could have been the beginning of a new era of progress and justice. It was the 2010 parliamentary elections in Egypt. Unfortunately the ruling dictatorship had other ideas. It followed its usual tactics of hiring thugs to scare off the voters. It prevented voters from voting unless they saw that the ballot was marked for the National Democratic Party (which is neither nationalistic nor democratic in case you hadn’t guessed) and arrested anyone who demanded their rights with too loud a voice. One asks himself; How can change come about while this police state continues to disregard the law and terrorize its populace? And why do western powers (who claim that they promote freedom and democracy) continue to support this corrupt and evil government both financially and politically? It has been my observation that people rarely are granted freedom. They usually have to wrester it from the hands of their oppressors. They fight and struggle to gain their freedom, not necessarily by coup or war, sometimes just by being willing to die or be beaten or spend years in jail. The price of freedom is great, but freedom is worth it! When the majority of Egyptians feel and act this way, then we will gain our freedom and Egypt once again will claim the throne of the Arab world. Then shall the world once again be bathed in the light that is Egypt. Then shall the Egyptians once again raise their heads and be proud to be Egyptians. 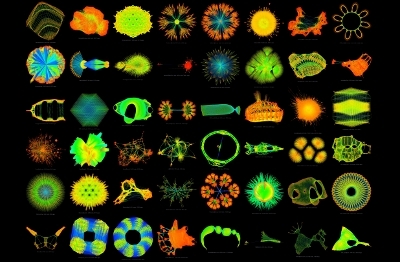 My Mphil thesis was on sparse matrix vector products and while visualising the datasets I worked with I felt that the patterns the sparse matrices took were often quite interesting. Recently I noticed that the University of Florida Sparse Matrix Collection was displaying the visualisation work done by Yifan Hu which you can see here. The data is truly beautiful and I thought It would make a lovely wallpaper. I stitched together various images to create a hi-resolution image which I am now sharing with the world. After almost 2 years away from the land I love, I am going to Egypt for 2 weeks. I leave Sydney on Friday the 23rd of April. I can’t wait to see all my family and friends. Egypt, here I come!! I have being meaning to get myself a mobile broadband USB modem for casual use. It makes sense if you do not want to shell out $15-$20 for wifi an hour. Whenever I take my family for a holiday on the cost, or find myself waiting at an airport I can just get online. The only catch is that you either shell out $150 for 1 year and 10GB of data. or you plan ahead and use $15 to get 500MB valid for 30 days prior to your vacation. After much deliberation and googling, I decided to go with the Optus network as it has reasonable coverage and has many resellers. I found Virgin Mobile offering their Huawei E1762 modem for $89. This is a 7.2MB modem. It has a microSD slot that supports up to 8GB cards and it even has an external antenna connection. It works fine in ubuntu 9.10 (that’s all I have tested). But I first had to activate my account via a windows machine. I don’t believe that windows based activation is a necessary step except that I needed a working connection to get the correct setting to configure the ubuntu netbook. I started off with the default setting offered by network-manager. I then edited the connection and changed the APN to: virginbroadband (was VirginInternet) and disabled all the authentication mechanisms except PAP. I just updated 3 machines to ubuntu 9.10. My Desktop, my netbook and my mythtv machine. All of them were updated flawlessly except my notebook where the grub2 configuration was not updated… Chaos followed until I figured out that the kernel being booted was messed up and subsequently figured out that I needed to fixup the grub2 config file. pulseaudio is much better integrated with the sound controls. mythtv 0.22 rocks. The clutter interface is much better. flash works much better using a lot less resources. Now I can actually watch ABC ivew on my netbook. Good on you ubuntu team on a job well done. Often with LDAP setups a user will log into a box where his home directory doesn’t exist. Linux provides us with a pam_mkhomedir.so module that automagically creates missing home directories for you. No such module exists for opensolaris. This bug report offers an alternative using autofs. A bout 2 weeks a go, I started a new Job at ANU Supercomputer Facility (ANUSF). I must admit that I am a bit excited and hope that I will be content over there. This should be getting exciting in the next couple of months as they are installing a new supper computer. They are also upgrading their tape silo and planning new storage infrastructure. I hope I can get some pics of the installation phase posted here soon. Today I finally submitted my thesis titled “Use of Graphics Processing Units for Sparse Matrix Vector Products in Statistical Machine Learning Applications”. The relief I feel is amazing. To all the research students out there in the final stages of submitting, may your journey be easier than mine. I am off to watch a movie or something….